High efficiency Mitsubishi Electric reverse cycle inverter heat pump air conditioning units featuring stylish design and ultra quiet operation. 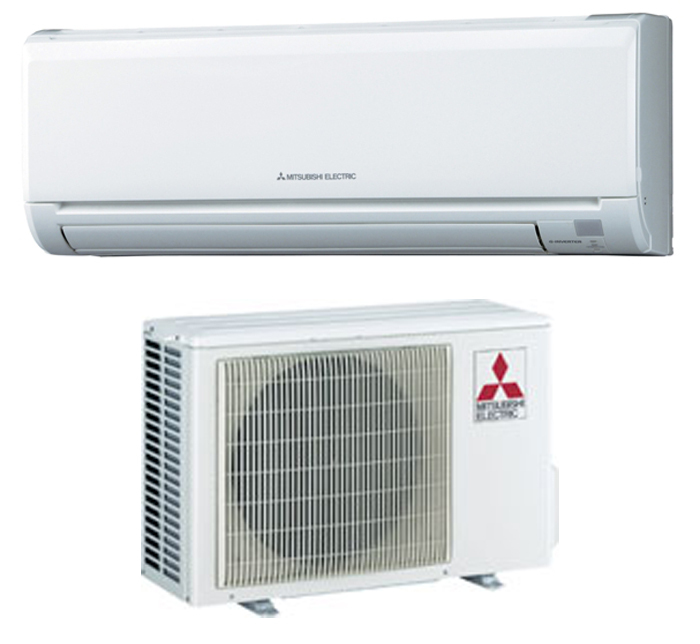 The MSZ-GE Series is a popular choice of split system air conditioning providing convenient features and reliability Mitsubishi Electric is well known for. The series is also available in air conditioners up to 8 kW. Elegant stylish design - features a simple ergonomic square shape and pure white colour that blends in with a greater range of interior designs. High efficiency inverter saves energy - advanced inverter technology gently increases or decreases power to suit the prevailing conditions reaching the desired temperature quicker, more efficiently without severe temperature fluctuations. i-save Mode - the "i-save" Mode is a simplified setting function that recalls the preferred (preset) temperature at the press of a button on the remote controller. The function ensures the most suitable air conditioning settings are used contribute to reduced power consumption. Ultra quiet operation - operates at an incredible 19 dB(A) (MSZ-GE25/35) in quiet mode and yet still maintains a comfortable indoor climate. Quick clean - air supply louvre is easily removed to allow fan to be cleaned, which improves operating efficiency.